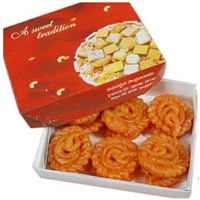 Badhusha: Enjoy the taste of Quantity:1/2kg . 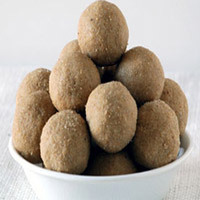 1/2 kg Ravva Laddu : Mouth Watering Ravva Laddu. .
Kajjikaayalu : The traditional Kajjikaayalu for all happy and festive occasions. Weight: 1/2kg. 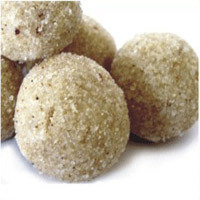 Sunnundalu : Very tasty sweets made of fresh ghee highly recommended for growing children. 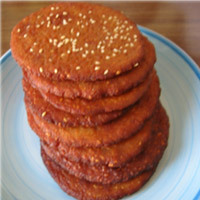 Qty - 1/2kg. 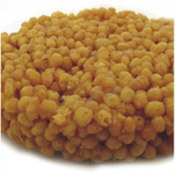 Boondi Sweet!! A great feeling of freshness Quantity:1kg . 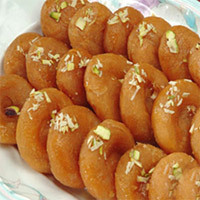 Ariselu (Ghee): The traditional ariselu to mark any festivity. 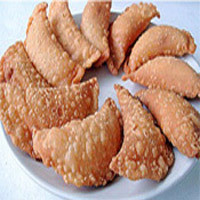 Tradition celebrated in a tasty fashion. Weight:1kg. 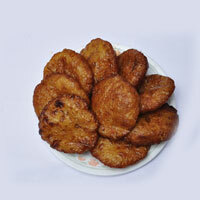 Burelu : A popular dish of Andhra is Boorelu - 1kg- served on south Indian festivals and occasions..